Anne Ross-Smith is Associate Dean - Curriculum and Quality Assurance and Professor of Management Learning in the Faculty of Business and Economics at Macquarie University. Prior to this role she held the position of Director of Graduate Studies. Anne is former Head of the School of Management in the Business Faculty at the University of Technology, Sydney. She holds a PhD in Management from Macquarie University. Her major research areas are women in leadership, and gender and organization theory and organizational change and sustainability. In recent years, she has been researching the role of women on corporate boards in Australia and internationally. Anne was project leader in a team from Macquarie University that undertook the 2010 EOWA Census on Women and Leadership. She is an Associate Editor of Gender Work and Organization and a frequent reviewer for top ranked journals in this field. Over the last decade, Anne has assisted organisations in creating environments that support women in leadership positions. She frequently advises women on leadership development and strategies for building and developing their careers and was awarded a UTS Human Rights Award for her work in this area. 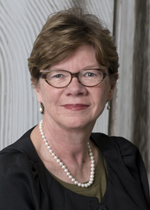 Anne has extensive experience in the management and development of large scale curriculum projects in Australian Universities and internationally and was awarded an Australian Learning and Teaching Council citation for her work in the internationalisation of teaching and learning in undergraduate business education in a Sino-Australian joint venture. Meuller, F., Carter. C. and Ross-Smith. A, (2011) Making Sense of Career in a big four accounting firm, Current Sociology vol 59 (4) pp551-567. Sheridan A, Ross-Smith A. Lord L, (2014) ‘Women on boards in Australia: Achieving real change or more of the same?’ in A. Broadbridge and S. Fielden (eds) Handbook of Gendered Careers in Management: Getting in, Getting on, Getting out, Edward Elgar, UK. Lord L., Sheridan, A., Ross-Smith, A., and Marinelli M (2014) Women on Boards: The challenges of developing international comparative data through collaboration. Academy of Management August. Philadelphia. Lord L., Ross-Smith, A., and Marinelli M and Sheridan, A., (2014) Stakeholder perceptions of the "right" pathway for women to corporate board membership Academy of Management August. Philadelphia. Sheridan, A., Ross-Smith, A., and Lord (2012), ‘Institutional influences on changing gender ratios on corporate boards: An Australian case study’ Academy of Management Annual Meeting. Boston, Unites State of America. Ross-Smith, A., Innes, C., and Heffernan, K. (1998) ‘Flexible learning in Management Education’. Proceedings of Pan Pacific Business Conference. Seoul. Korea. June 1-3, 1998. Ross-Smith, A. (1996) ‘The language and theory of Management: can they account for women’s experience of management?’ in Coombes, C., Grant, D., Keenoy, T., and Oswick, C. (1996) (eds) Proceedings of Organizational discourse: Talk, Text and Tropes Conference, University of London, July, 1996. pp 190-193. Ross-Smith, A. (1995) ‘The Impact of Women Managers on Organisational Structure and Management Practice in Australian Organisations’. Proceedings of the Pan-Pacific Conference XII. Dunedin, New Zealand. June, 1995. Ticehurst, G.W. and Ross-Smith, A. (1994) ‘Old Views, New Perspectives: Barnard Revisited in Contemporary Organisation Theory’. Proceedings of the Pan-Pacific Conference XI. Bangkok, Thailand. June 1994. Ross-Smith , A. (2013) Leading by example: The need for women in leadership roles. Practice First Forum. Ross-Smith , A. (2011) Leading the pack: Does government and community section deliver more for womens leaders CEDA Women and Leadership Series 3. Ross-Smith, A. (2010) The Contradictory devotions of leadership and motherhood. Westfield Senior Women’s Leadership Group. Simpson, R., Lewis, P. and Ross-Smith, A. (2008), ‘Merit, Choice and Voice: how women negotiate between sameness and difference in their organizational lives’ British Academy of Management Conference,Harrogate. Pullen, A., Ross-Smith, A. and Pitsis, A. (2008), ‘Haunted by the Flesh: Paradoxes of Space for Professional Women’, British Academy of Management Conference,Harrogate. Ross-Smith, A. (2000), ‘The ‘Feminisation’ of Management and Organisational Discourse: Implications for Women Managers’, 4th International Conference on Organisational Discourse,London, Kings College, July. Ross-Smith, A. and Taylor, T. (1999) Leadership Development and Succession Planning in the Faculty of Business.Participant Project Report LLEAD Program, Spring Semester. Anne is well known for her research in the areas of women in management and leadership, corporate governance and organisational studies. Her research has been published in leading international journals, particularly, in the field of gender and organisation studies. She is also an experienced qualitative researcher. Anne is willing to supervise HDR students who are interested in studying a topic in the area of her own research strengths and in the area of organisational studies including organisational change. Clare Leroy (PhD awarded 2012) “Implementing the Social Dimension of corporate social responsibility: a Study in the Australian University Context. 2012” (Macquarie). Jennifer Green (PhD awarded 2009) “In search of Executives: the role of organisational values in the recruitment and selection of senior managers in large not-for-profit organisations (Co-Supervisor). Professor Anne Ross-Smith spoke to mX regarding the leadership style of 'Generation Y'. When Gen Y make it to the top in business they’re going to be a very different kind of boss to their Baby Boomer parents. While some ambitious Gen Yers are scrambling up the corporate ladder already, many have spent their 20s slow to enter the rat race and this has often seen the youngsters labelled as lazy, egotistical and fickle by disgruntled Gen Xers. ‘‘I do think it’s seen as a generation that’s taken a bit longer to grow up,’’ Macquarie University professor Anne Ross-Smith said. But Ross-Smith warned this didn’t mean you should write them off as future leaders. She said Gen Yers were generally well-educated and travelled, tech savvy and great networkers because of their fondness for social media. Speaking to mX ahead of the launch of a new Bachelor of Business Leadership and Commerce at the university next year, Ross-Smith said Gen Y had a lot of ‘‘life skills’’. She also said they had a greater sense of equality that would see more women in senior positions in the future. Also, when Gen Yers do eventually become bosses they will be more open to creativity and innovation. Ross-Smith said they were likely to follow a less authoritarian style of leadership than has been traditional in some industries, particularly the banking and mining sectors. ‘‘I predict a more shared model (of leadership) when you get to the next generations,’’ Ross-Smith said. Ross-Smith also predicted a more flexible approach to work when Gen Yers took over. She said there would be a greater acceptance of time-out for family, travel or community work reasons. The director of postgraduate studies in the Faculty of Business and Economics at Macquarie University, Professor Anne Ross-Smith, says it's not a clear quality decision. "There are so many MBA products out there, and Generation Ys are taking a lot of factors into account before they make a decision," she says. "We have conducted a lot of research into the decisions students make and the cost is important and increasingly, so are lifestyle considerations." In addition, Professor Ross-Smith says Generation Ys are looking at programs close to home, and they are looking at the mode of course delivery a mixture of online and face-t o-face. She particularly emphasises the importance that prospective students put on geography, because people want to be close to their family and support networks if they decide to take time out of the workforce to complete an MBA. "The internet plays a very important role in how people make their decisions these days because it enables them to make comparisons between schools right down to the micro-level of detail," she says. One question many prospective MBA students ask is whether they should undertake a specialised MBA or a more generalised program. Professor Ross-Smith says prospective students should look at what the school or university has an acknowledged specialisation in. In Macquarie University's case, that specialisation is in the finance field, with the university offering leading Masters degrees in applied finance, actuarial studies and accounting. While these degrees aren't MBAs they do provide students with many of the benefits associated with an MBA. Chief among these is the opportunity to build a strong network. Professor Ross-Smith says universities are mindful that today's students are very savvy as to what they want: "they want the opportunity to enhance their networks". She adds that Macquarie's specialised masters degree program is well connected to local business networks. In turn, some of these businesses are sending their employees along because of the school's quality. As for undertaking a specialised masters degree or a more generalised MBA, Professor Ross-Smith says it really depends on where a person is in their career or in which direction they want their career to head. Anne comments on the pros and cons of executive education. Last Updated: 2014-05-30 17:32:17 by Drew Nixon.